Anna and Josh share a love that inspires. I was thrilled when they chose Ash Lawn for their engagement session because it's timeless and matches their personalities perfectly. They laughed and danced their way through the grounds. I cannot wait for their May wedding this year! 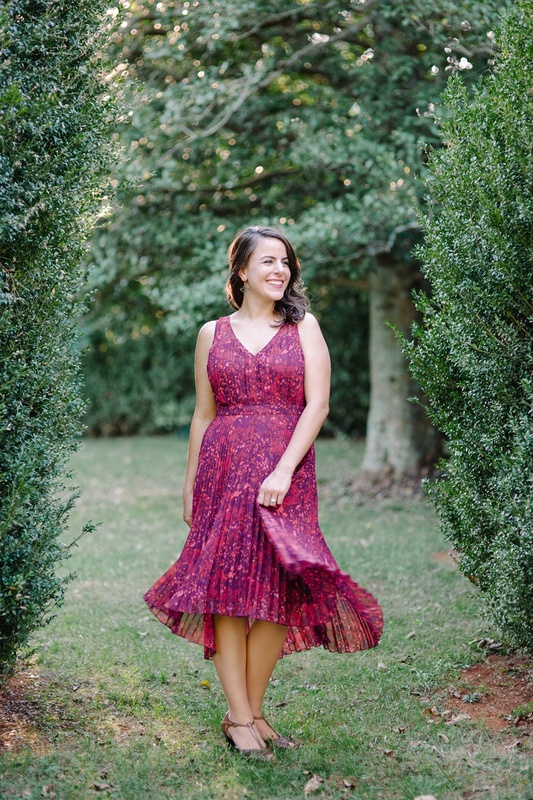 And who doesn't love Anna's dress from Anthropologie? It swings and twirls magically and the color was amazing!